According to the classic cookbook Joy of Cooking, tapas were originally served as thin slices of meat or bread over sherry to protect the beverage from fruit flies. The tapas restaurant has since evolved to include a wide variety of hot and cold appetizers usually served with alcohol. Brooklyn Beso Restaurant & Bar helps keep the tapas tradition alive in Brooklyn and offers a fantastic menu ideal for brunch and happy hour fun. The ultimate tapas for mac ‘n cheese fans, this three-cheese version of the comfort food staple is served with sauteed jalapeno peppers. Optional additions include shrimp, crabmeat, and bacalao. Chipotle chicken or spicy bacalao provide the foundation for this tapas restaurant favorite that comes with sour cream, pineapple, and pico de gallo. 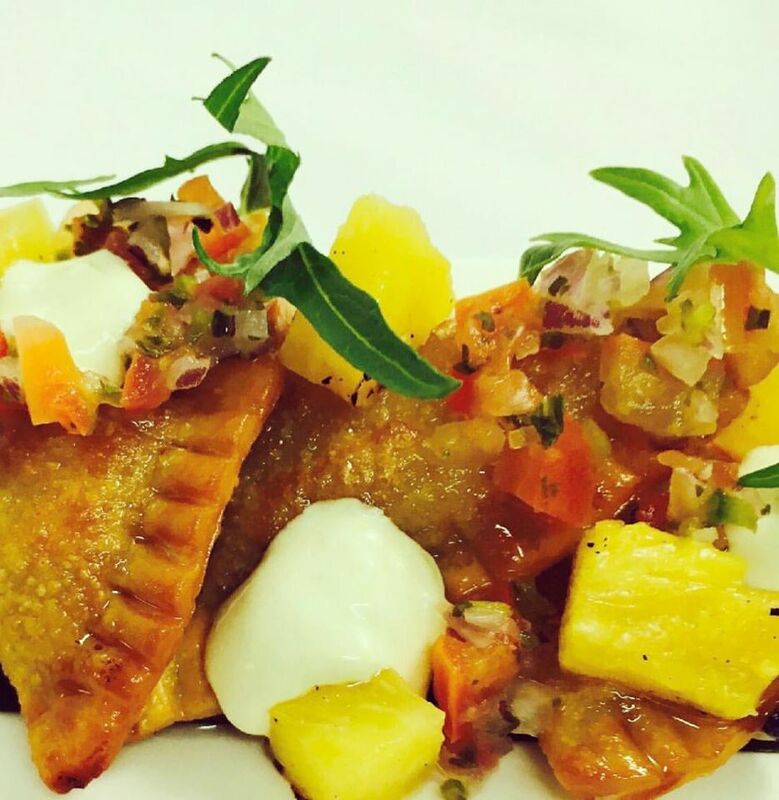 If you love empanadas, you will enjoy this spicy option. Mini beef sliders come topped with Spanish onions, grilled pineapple, and remoulade. The flavors blend perfectly to add something special to the juicy, perfectly-cooked beef. A fantastic tapas for seafood lovers, the grilled jumbo shrimps come with a choice of barbecue, jerk, or guava sauces. Whatever sauce you choose, the result is a delight for the senses. Fried potatoes are almost always a culinary win, and the Papas Bravas is no exception. It is served with sour cream, cilantro, queso fresco, and spicy brava sauce. Enjoy these and other delectable possibilities at the celebrated tapas restaurant the next time you are out to brunch or want a happy hour snack. The neighborhood establishment provides the perfect atmosphere for enjoying an array of delicious flavors with friends and family, including an outdoor dining area ideal for brunch. Call Brooklyn Beso Restaurant & Bar today to make a reservation or visit the website for a complete menu. Like the tapas restaurant on Facebook for the latest specials and updates.